accommodate both C-clip styles and non C-clip styles. Locking differentials have been available for years, but were always a compromise: performing well either off the road or on the road - but not on both. The ARB Air Locker provides normal differential action on the street - maintaining safe, predictable handling. 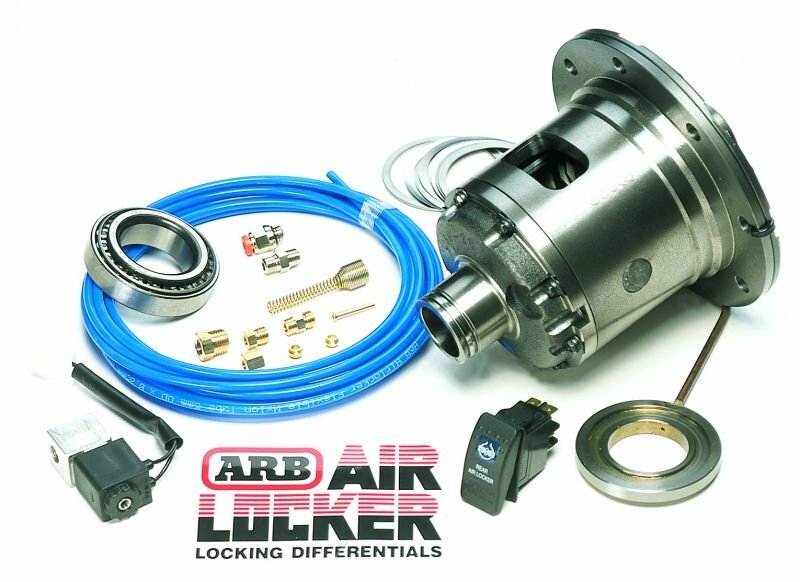 An ARB Air Locker differential will drive out of the most difficult situations. The Air Locker design process involves exhaustive testing. Computerised Finite Element Analysis (FEA) allows us to subject each Air Locker design to "virtual" off road simulations far more extreme than those encountered in real life. Destructive laboratory testing is carried out to ensure the strength of the Air Locker exceeds that of the axles or other driveline components. Environmental test cells subject prototype models to high (120ºC) and low (-24ºC) temperature running conditions, as well as harsh wheelspin engagement for cycle durations of more than 20,000 actuations. Finally, field-testing is carried out in the harshest environments imaginable. Thoroughly tested and proven design & trusted and used in over 80 countries around the world. Easy installation and maintenance & no special tools, skills or additives required. 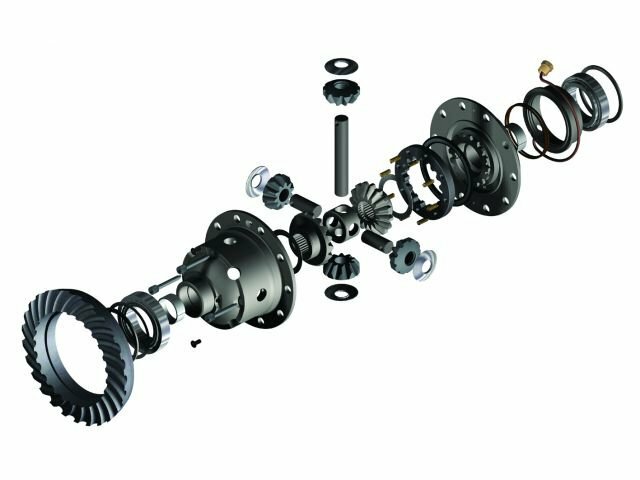 Must have Dana 44A with Aluminum center section.